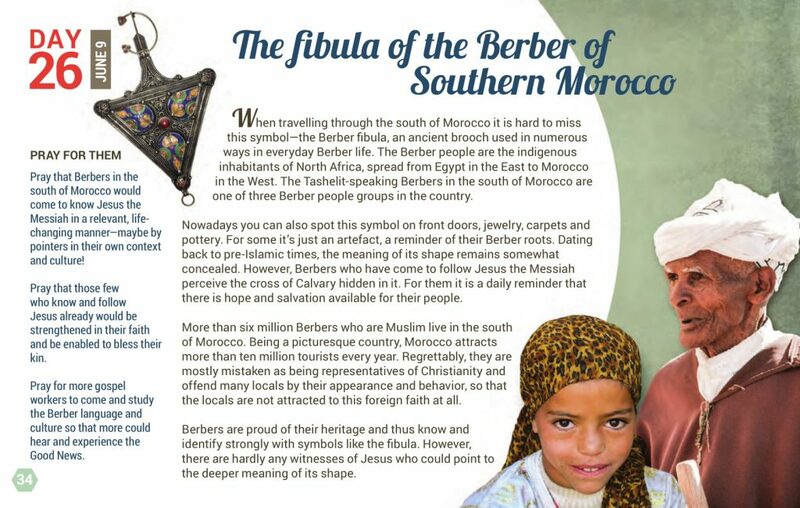 When traveling through the south of Morocco it is hard to miss this symbol—the Berber fibula, an ancient brooch used in numerous ways in everyday Berber life. 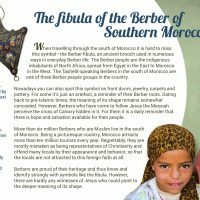 The Berber people are the indigenous inhabitants of North Africa, spread from Egypt in the East to Morocco in the West. The Tashelit-speaking Berbers in the south of Morocco are one of three Berber people groups in the country. Nowadays you can also spot this symbol on front doors, jewelry, carpets, and pottery. For some, it’s just an artifact, a reminder of their Berber roots. Dating back to pre-Islamic times, the meaning of its shape remains somewhat concealed. However, Berbers who have come to follow Jesus the Messiah perceive the cross of Calvary hidden in it. For them, it is a daily reminder that there is hope and salvation available for their people. More than six million Berbers who are Muslim live in the south of Morocco. Being a picturesque country, Morocco attracts more than ten million tourists every year. Regrettably, they are mostly mistaken as being representatives of Christianity and offend many locals by their appearance and behavior, so that the locals are not attracted to this foreign faith at all. Berbers are proud of their heritage and thus know and identify strongly with symbols like the fibula. However, there are hardly any witnesses of Jesus who could point to the deeper meaning of its shape.